Probably, freelance writing jobs are the most lucrative side hustle right now. With so many websites coming up, there is a constant demand for content creation. This is where freelance writers come in. Freelance writers can utilize their skill to write for blogs, magazines, online publications, etc. They can also be hired by some big websites or bloggers to be a staff writer for their websites. That can become a steady stream of income. There are many places where you can look for good paying freelance writing gigs like Problogger.net, BloggingPro.com. One thing you would have to be sure when you are a newbie is, your grammar and English have to be good when applying for the writing gigs, this being the most important requirement. I am not a professional writer, but something that helps me to write is Grammarly. It does an excellent job of error proof (well, almost). 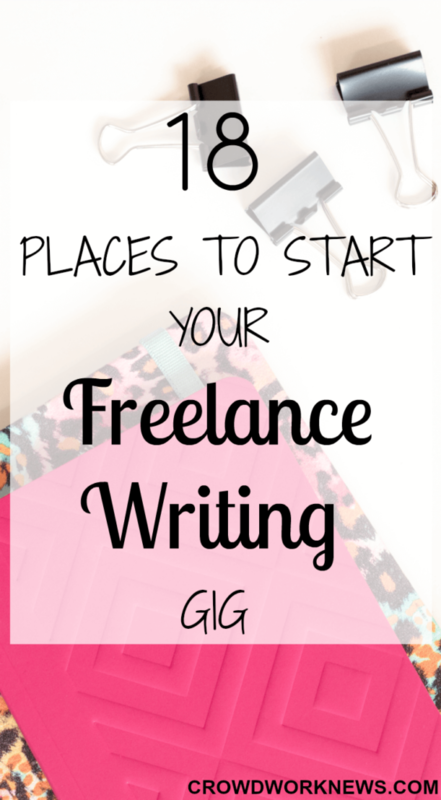 It can be a huge help if you are just starting out as a freelance writer. Though it might not do a proofreading job like a real person, it does pretty for an app. Here is a list of websites which accept freelance writers even if you are a beginner and they pay well. These websites are in different niches so choose the ones which might interest you and pitch the editors/follow the guidelines. Topics should include women and money, and they pay $100-150 per article. You have to register first and choose your pay. When opportunities become available, they will contact you. The pay can be up to $250. This website pays around $100 for articles. Topics can be anything from parenting, lifestyle, food, travel and beauty. Listverse is a website which has topics, particularly in lists. The pay is $100 per article and can include many topics. This website pays $100 per post and you have to fill a form to receive information regarding the stories they are looking for. This blog pays around $75 to $100 for a post. This is more for moms and they have guidelines for the kind of posts they are looking for. This website mainly is about web design and pays $100 per post in same niche. You will have to fill out an online application, and if accepted, then you can write on many articles and get paid. This website pays $100 for essays. They have a set of requirements for the stories they want. This website accepts articles on parenting. It is a pretty popular website paying around $100 per article. Pays around $50 to $150 per article. Topics are mostly around money. This website pays to write about parenting articles. The pay is $100. This website pays for business articles, and the pay is around $200. With this website you get paid to write essays. You will have to negotiate the pay. This is quite a popular blog paying $50 per post. This website pays to write essays mostly about college life. The pay is $100. This website pays to review books. The pay per review is $50. This is another super popular website with topics around money making, work at home jobs and saving tips. You will have to negotiate the pay. This website pays for guest posts and read their guidelines before you pitch them. The pay is between $75-$100 per post. You will make a fixed amount of money with this website. Payments get deposited through PayPal. For this, you will have to register and take a grammar test. Once you are through, you can start writing, and once your article is accepted, you can get paid. That’s quite a long list, isn’t it!! Apart from these websites, you can find many writing gigs on freelancing places like Upwork (formerly Elance), Freelancer, Guru, People Per Hour, etc. Want to learn how to be a freelance writer? If you are just starting out and wondering how to go about being a freelance writer, then give a go at Holly Johnson’s Earn More Writing course. This course gives you a complete insight into the strategies that Holly used to earn $200,000 per year as a freelance writer. Cool, right!!! There are endless opportunities for freelance writing from prominent websites to blogs. If you are a freelance writer or just writing for a hobby, try these websites and start your freelance writing career today. What other websites have freelance writing gigs?